Jule udvidelsespakke til Cards against Humanity. 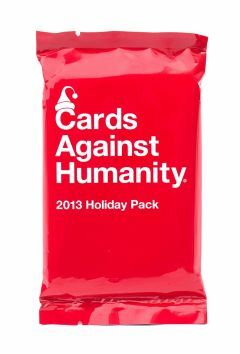 Tilføj Cards against Humanity - 2013 Holiday pack til din samling. I årene 2012 - 2014 udgav Cards Against Humanity en ny udvidelsespakke hvert år, med et juletema. 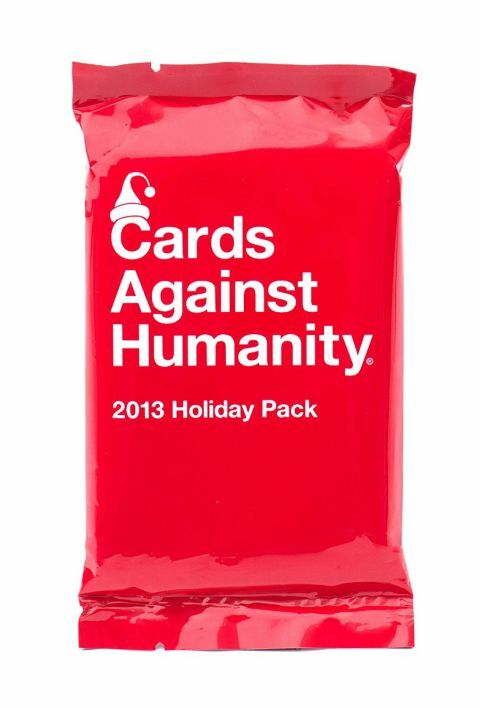 Dette er en udvidelsespakke til spillet Cards Against Humanity, som er fra 2013's juletid. Pakken indeholder 30 nye kort. Blessed are you, Lord our God, creator of the universe, who has granted us __. Kids these days with their iPods and their Internet. In my day, all we needed to pass the time was __. People with cake in their mouths talking about how good cake is.